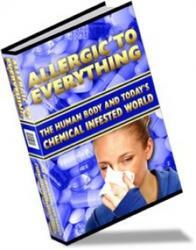 This chapter has aimed to give some background to the history of food intolerance and food allergy. Hopefully it has shown that food allergy and intolerance is a condition that has existed for centuries, although it may not have been labelled as such. This was followed by a section on terminology from which the reader will recognise that the debate still continues. Although the recommendations of the European Academy of Allergology and Clinical Immunology (EAACI) are outlined in the chapter, it is likely that readers will come across other terms or indeed, more commonly, will find these terms being used in different contexts. In time, no doubt, a worldwide terminology may evolve, but for the time being clarification and definition have to be offered in the literature. The sections which followed were dedicated solely to mechanisms of food intolerance and allergy and food tolerance. It is essential to have a grasp of the current state of evidence in this area in order to appreciate some of the key issues concerning diagnosis, symptoms, etc. Of course, it is also evident from this discussion that the medical and scientific community are nowhere near unfolding the whole picture, and our understanding of the mechanism of food allergy and intolerance is still very much in its infancy. Systematic investigation in these areas is relatively new and confined mainly to the last few decades. Our understanding can only increase with time.